A traditional services includes visitation where family and friends come to pay their respect and share memories with the family of the deceased and funeral services at either the funeral home, church, graveside or anyplace the family chooses. A traditional service can include such things as basic service of funeral director and staff, embalming, other preparation of the body, facilities & staff for viewing, equipment & staff for services, transfer of remains to funeral home, hearse, and service utility vehicle. Other things our funeral home does for you would be such things as securing and obtaining certified copies of the death certificate, writing and submitting obituaries, arranging church and clergy services, arranging for opening and closing of the grave, and obtaining necessary state permits. Our funeral home also provides many special services and merchandise to you such as special accommodations for your family during visiting hours, memorial DVD video tributes, access to the obituary over the funeral home’s website and memorial condolences, to name a few. Modified funeral services include parts of a traditional service that a family deems appropriate without having a traditional funeral service such as having visiting hours without a funeral service or having a funeral service without visiting hours. Families may celebrate the life of the deceased by creating a highly personalized service in which family and friends control its contents with memories and stories. 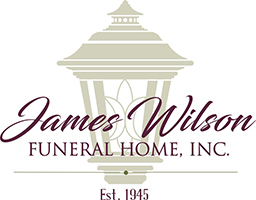 At James Wilson Funeral Home you make the choice that best fits your family’s needs. Funeral Services out of our area. We have great experience in conducting funerals outside of our local area. We are currently and have been in the past privileged to conduct funerals in such locals as the Five Boroughs of New York City, Long Island, New Jersey, and Connecticut.